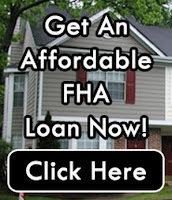 Effective September September 14, 2015 FHA has instituted new Kentucky FHA Mortgage Underwriting guidelines. I have highlighted the ones in yellow that are considered major and could adversely effect a FHA Mortgage loan approval in Kentucky going forward with the new changes. Student loans are now classified as either Deferred Obligations or Installment Loans. If deferred and the actual payment is $0 or not available, 2% of the outstanding balance will be used to calculate payment. Borrower does not have to explain and reestablish employment after a Gap in Employment unless it was at least 6 months in length. Expected income (i.e. new job, performance raise, retirement, etc.) can be used for qualifying if it is guaranteed in writing to begin within 60 days of closing. Financing of unrecorded Land Contracts will be treated as a purchase transaction, whereas recorded Land Contracts can still be refinanced. When grossing-up Non-Taxable Income, the amount added cannot exceed the greater of 15% or the appropriate tax rate based on the previous year's income. If no tax returns are filed for the previous year, 15% is used. 30-Day Accounts, those where the borrower pays off the outstanding balance each month, do not have to be included in the DTI as long as the below requirements are met. Otherwise 5% of the outstanding balance must be used. Borrowers currently on short-term disability or other temporary leave will be able to use pre-leave income if they can document that they will return to work before the loan closes. Otherwise current income will be used, though it can be supplemented by surplus liquid assets. Earnest money deposits must be sourced if they exceed 1% of the sales price or are deemed excessive by the underwriter based on the borrower's history of savings. Appraisers will be required to note all appliances present in the home at the time of inspection and indicate whether each appliance is Personal or Real property. All conveyed appliances must be tested, with any inoperable appliances being reported as a deficiency. must use current year’s income. full guidelines for specific calculation and documentation requirements. continuance is likely. Calculation: Income must be averaged over the previous 2 full years.